Fleur Condos - Life & Work in One. Welcome to Fleur Condos and live in the heart of downtown Toronto, a spectacular tower in the downtown core, graced with a fine collection of modern urban suites and a roster of inspired lifestyle amenities for your most demanding everyday needs. A dramatic 29 storey mixed-use tower resting on an elegant sculpted podium made to showcase the balance of life and work in one. A stunning new residential development is located on the northeast corner of Shuter Street and Church Street that will contain a total of 320 residential suites with 3 levels of parking. Currently the site is a commercial parking lot with a 3 storey commercial brick building which is home to NOW Magazine head office. Distinct in design, it will become a signature piece of the Toronto skyline. Coming soon to you another new condo development with exquisite design, superb craftsmanship and exemplary service by Menkes Developments Ltd. currently in preconstruction at 60 Shuter Street. The redevelopment plan of this site involves the demolition of the existing surface parking lot, modifying the existing building, and providing a twenty nine storey tower (320 units) with retail and a supporting parking garage with access to parking and loading facilities. The residential tower will include 1 bedrooms ranging from 430 sq.ft to 531 sq.ft, 1 bedroom plus den ranging from 525 sq.ft to 677 sq.ft and 2 bedrooms and (plus den) from 681 sq.ft to 869 sq.ft and 3 bedrooms at 870 square feet. The distinguished luxury building is well located within the downtown coreand closed to significant employment, recreation, and retail centres. The high-rise tower is bounded by Church Street to the west, Shuter Street to the south and Dalhousie Street to the east, which provide excellent local connectivity in all directions. There are a number of cycling facilities servicing the site area, including on-street bike lanes and Bike Share Toronto located within 300 metres of the site. Bike Share provides convenient 24-hour access to bicycles that enables residents to readily travel on a bicycle to/from a variety of destinations across the downtown area with the ability to pickup or drop-off a bicycle at any bike share station provided across the city. With a glass-like pattern gracing the facade, it’s design speaks to the idea of community while staying chic, unique and sophisticated. The end result is a look that invites you into experience life at Fleur – one of perfect harmony. The property will have 3 level parking garage to accommodate resident and visitor parking activity. 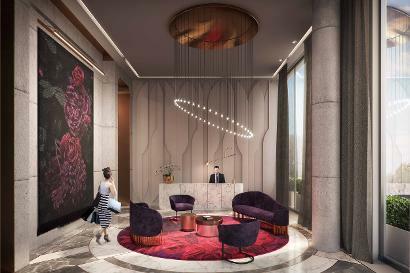 Some of the amenities that will be offered here start with the welcoming lobby by award-winning interior designer firm Design Agency. Party Room/Co-Work Space suitable for professionals, entrepreneurs, freelancers & meeting space for students with free high-speed WIFI throughout, a communal seating and shared work surfaces with built-in charging stations. Dedicated building staff, 24/7 Concierge & Security. On-site Superintendent, On-site dedicated Property Manager, On-site Assistant Property Manager, Dining Room with Catering Kitchen, Media Room, Lounge, Landscaped Outdoor Terrace with BBQ/Cooking Station, Dining Area, Lounge Seating and Games area. Conveniences on-site include Gym with Cross-fit, Cardio and Weight Equipment with separate Exercise Class/Yoga Room. The majority of suites at this striking structure will offer approximately 8”ceilings 27th floor and below, gourmet kitchens with designed kitchen cabinetry and backsplash from designer’s curated selections - Quarts countertops with integrated appliances - built-in Energy Star fridge with panel front to match cabinets, built-in Energy Star dishwasher with panel front to match cabinets, stainless steel integrated wall oven with glass ceramic cooktopo. In the bathrooms, you will find custom designed vanities with under-mount sinks, Caesarstone or Quarts countertops. Stacked, full-sized washer and dryer with custom built-in closets and lots of living space. a future growth area to watch for. Read more about UrbanToronto's Development Guide: Growth to Watch For 2016 Series - Jarvis & Church Neighbourhood Area. This distinguished luxury tower is well located to surface transit services as well as to the Yonge-University-Spadina subway line which are all located within a reasonable walking distance. Fleur Condos is just steps to the finest shops, restaurants, galleries, boutiques, sports venues and waterfront. Designed to place the future kingpins of tech, engineering and computer science in the centre of it all, this high-rise building stands tall near Church & Shuter. It’s for people who vibe with the fast-paced energy of Toronto; whose potential is waiting to be unleashed. It’s for the movers, the shakers, the innovative groundbreakers who are looking for a community-focused place to call home where they can be surrounded by all the things that lead to success. From the quiet luxury of the lobby to the collaborative energy of the shared workspace, the next generation of strategic thinkers and players will and their perfect oasis right here. 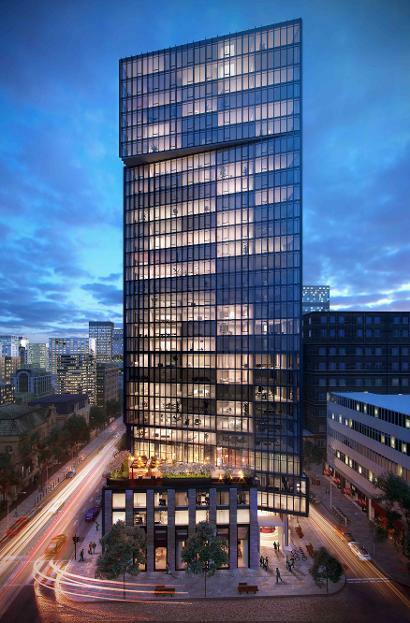 There are many high-rise tower popping up in the city, with so much demand this helps savvy buyers to pick and choose if Toronto is not the area you want to live in, you might want to check out north of the city and have a look at YongeParc. Locating in the Church -Yonge Corridor neighborhood in Toronto. Fleur Building has 100/100 walking and transit score. It is closed to parks include Trinity Park, Moss Park and Labyrinth and Cloud Gardens. There is just steps to the Univerty of Toronto, Ryerson University, Subway. Also Fleur Condos close to Eaton Centre, school, major bank, retail shops and supermarket. The Yonge Corridor is Toronto’s central hub. It’s a place where anyone can connect to anywhere. TTC surrounds your neighbourhood so you can get where you need to superfast. The streets are bustling with people, culture and lined with shops, boutiques, restaurants and right across the street to one of the city’s largest Loblaws. Whether you want to work or shop, Fleur is in the middle of it all. So if you’re ready for anything, it’s ready for you.